HOUSTON – (Realty News Report) – The anniversary of the initial landfall of Hurricane Harvey is approaching. The storm arrived Aug. 25, 2017 and it stayed in the Houston area for days, pounding the city with 50 inches of rain and flooding more that 100,000 homes. A year later, voters are going to the polls to consider approving $2.5 billion in bonds to address flooding problems. The money will fund some 230 projects – everything from new detention basins to floodplain land acquisitions. What have we learned from Harvey? Are we prepared for another such hurricane? What flood control projects are needed immediately? 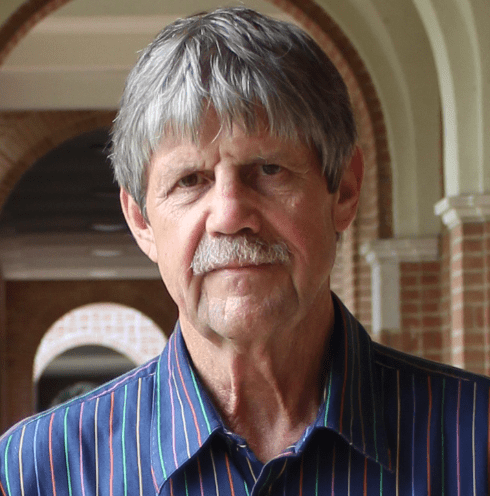 Realty News Report spoke with Jim Blackburn, Professor, Environmental Law, Department of Civil and Environmental Engineering at Rice University to find out more. A nationally-known environmentalist, Blackburn is also co-director, Severe Storm Prediction, Education and Evacuation from Disaster (SSPEED) Center and a Faculty Scholar, Rice’s Baker Institute. Realty News Report: It’s been a year since Hurricane Harvey made landfall. How are we doing with the recovery? Jim Blackburn: I think the recovery now and recovering in the long term are two different things. After Hurricane Harvey, a lot of good, positive things happened, I think we are trying to find our way forward. We’re at a crossroads for the future of Houston economically — that is where I see biggest challenges and opportunities, trying to rethink our approach to flooding. Flood control isn’t the right term, but flood management is. Here in Houston, we will have to learn to live with water and learn to integrate water into our future. We need to incorporate water into the infrastructure of the city and county. We are not going to “control” the Hurricane Harveys and Tropical Storm Allisons of the future. We have to understand how to manage that water. We have put down a lot of concrete that, over time, has increased flooding. Secondly, rainfall patterns are changing; they are becoming more intense and will get more intense in the future. Before all the concrete, the Katy Prairie held a lot of water naturally, but now it dumps a lot of water into the bayous. We need to raise the money to buy out all the houses that are affected and cannot otherwise be protected and dedicate this land to hold and manage the water. Realty News Report: Are we moving quickly enough? Jim Blackburn: I’d like to see our leadership be much bolder about their vision for water management. It’s like they don’t feel the urgency. We need to get this issue right because it is important to making Houston competitive in the 21st century. Past practices are very hard to change; inertia keeps change from occurring. I think our leaders believe they must deal with other ‘pressing’ problems first. For example, transportation has been a priority in Houston much more than flooding. That needs to change. Also, we’ve been more concerned about selling real estate than we have been with protecting our people. We don’t inform the public about surge dangers, and we do not talk about it. In Clear Lake, after Hurricane Ike, FEMA gave money to put up a warning sign at a major intersection that showed how high a storm surge could go. When you stopped at the intersection, there was a marker that said showed ‘this is how high the water could get during a hurricane surge.’ The signs were taken down after a month because they interfered with real estate sales. No one talks about possible hurricane surge areas because they were more worried about the impact on real estate transactions than protecting people. We have to talk about protecting people and we have to provide information necessary to make the market system work better. I don’t see that happening and that’s where my concerns lie — these underlying attitudes we reflect and hold as a community. Realty News Report: What about the 100-year designations? Do they serve any purpose at all? Jim Blackburn: Flood plains are dangerous, and the 100-year flood plain published today is obsolete. We talk about flood plains as if they are nothing more than an impediment to overcome. We don’t say these areas should be avoided, that people should stay away, but we are seeing more and more that homes in flood plains that are dangerous to live in. Even if you elevate your home, that’s not a good solution. There are psychological issues that come with that. If there is a flood there could be problems with a septic or sewer system. Then you have contamination of the community. We really haven’t begun to understand the heath implication of Hurricane Harvey. I recently met with Winnie Hamilton, a professor at Baylor College of Medicine’s Environmental Health Services, who told me there was an increase in respiratory problems after Harvey. We still don’t know exactly how that is affecting our health. Realty News Report: Has there been anything really surprising in the way Houston leaders have reacted? Anything truly disappointing? Jim Blackburn: Most disappointing is the flood plain issue. The city adopted a 500-year flood plain. It was controversial in real estate circles. But the current floodplain map is just plain wrong. And how can the city allow a municipal utility district (MUD) to be formed to aid development in a flood plain — totally discretionally in an inappropriate area. We’re at best, schizophrenic. I’m disappointed our leaders haven’t committed to change. So much needs to be done, and we’re taking small steps. The Harris County bond issue is a start. We need that money, and we’re going to need matching money for federal projects in four watersheds. We need money in the 18 other watersheds to buy out a lot of houses and do projects, so the bond issue is absolutely essential. But what is disheartening is that observers think the bond election could go either way. There is no organized opposition to it, but people are against raising taxes to begin with, and the bond issue does involve a tax increase. It’s a tough vote, but an incredibly important one for future. If it passes, we need to spend the money extremely wisely. Realty News Report: Is Houston ready for the next heavy rain event? Jim Blackburn: No place is ready for any type of devastating event. Look at July 4 of this year. People were still planning events in Eleanor Tinsley Park. The event got shut down, but they weren’t ready for it. Some 13 inches of rain fell over 24 hours. So, no, we’re not ready for that. We’re not ready for the storms in our future. We’ve got to figure out what we need to do to get ready for the storms we know are coming. Basically, we need to clear dangerous areas of homes and dedicate the land to naturally retaining water – to flood management. There is a lot of natural land to the west of Houston, and we should make better use of them – maybe pay ranchers $100 an acre to restore the prairie in Spring Creek or Cypress Creek, for example — use that land for what it’s good for. We need to talk about ideas that are different. The Houston of future must make room for the bayous and peel communities back from the bayous and add retention ponds and make larger channels. We need a future where Houston adapts to the changing forces of nature, and that’s not where we are right now. If the bond issue fails, Houston will continue to wallow in flooding. No one will want to come to the city. We need to be quite different in the 21st century than we were in the 20th century. Realty News Report: Some well-established neighborhoods developed in the 1950s and 1960s, such as Meyerland, were great places to live for decades. Now they flood often. Why? Jim Blackburn: We did that to ourselves. Meyerland is the center of our Jewish community and it’s culturally tied to particular pieces of real estate. But in the future, we’re going to be hard pressed to protect Meyerland. Meyerland was protected by Braes Bayou and then the area upstream was developed. That increased the flow of water through areas like Meyerland. At the peak rainfall during Harvey, the flow was around 34,000 feet per second. Before the land was developed, it was only 8,000 feet per second. Maybe building levees for certain areas could protect the flood plain. Elevated homes are one solution, but that’s going to get old – people keep evacuating, waiting for flood to come back down. You may save your house, but you still will lose cars, and you’ll have to muck out the garage. That is not a good way to live. Even with the Braes Bayou project completed, I do not see the flooding problems in that area solved anytime soon. Realty News Report: So the Katy Prairie is a key factor? Jim Blackburn: The prairie was our sponge for the central city. When the Army Corps of Engineers built Addicks and Barker (dams), they never anticipated type of development we have had in the areas. That’s why we need to limit development in the area, why I see perhaps a market solution to transform the ranching community and make it profitable not to develop. The Katy Prairie, if totally developed, would worsen the flooding problem. Realty News Report: Was building the Grand Parkway a mistake? Jim Blackburn: I represented the Sierra Club in trying to stop it because it would increase runoff into the Addicks and Barker reservoirs — two of the six most dangerous dams in the United States according to the Corps of Engineers. But I could not get any politician to talk to me! They were unwilling to talk about possible flooding. We reviewed e-mails filed as part of administrative record, and there wasn’t a single one where politicians expressed concern about potential impact of development on Addicks and Barker. The judge did not stop the Grand Parkway, but he instructed the Army Corps of Engineers to go back and review it. Realty News Report: In regard to Houston flooding, what is the most important thing we need to focus on now? Jim Blackburn: It’s the vision. How do we see ourselves in 20 years? What does dealing with flood management involve? How does a city like Houston, or every coastal city in the world, handle the rising temperature of oceans? With Harvey, we got hit with a climate-induced storm long before other cites had to deal with the problem. How do we work ourselves out of the box? There are some of areas that are susceptible to bigger storms and bigger rainfalls. We have to envision living with water. We are not going to control the floods of the future. We are going to have to live with them and management them, not banish water to some other chapter. Water is a citizen of Houston and needs its own property. From a real estate perspective, there is a new client in town called water. In the past, we tried to almost, deal with it as an afterthought, to push it away. That doesn’t work. That was an engineering approach and only engineering is not sufficient. We need to bring nature back into the mix and have to do more planning than we have in the past. We will need a fair amount of money to buy out the homes we cannot protect and make better use of land for flood control and recreational purposes. We need to develop a different type of city – one that can live with water.